A contiguous block of memory can be set aside to be used as a "scratch pad" by the application program at run-time. Many applications and functions require the use of a heap. 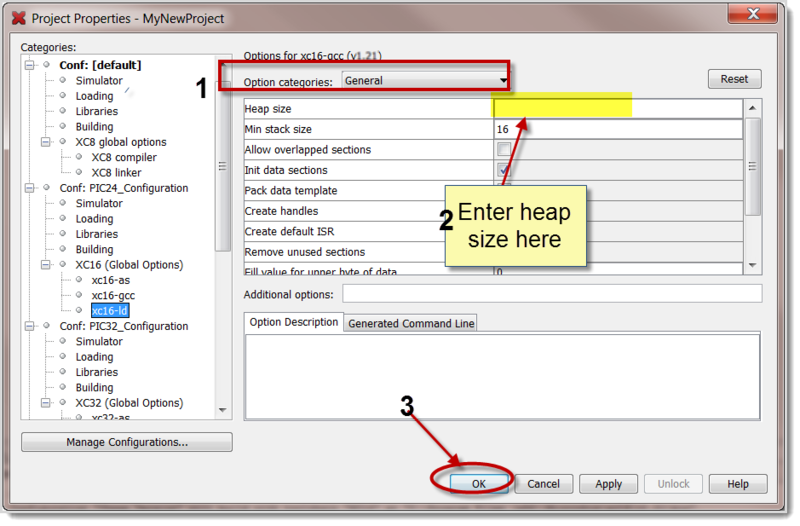 When a heap is required the developer must configure the heap inside the MPLAB® X project. Care should be taken when creating a heap. Memory used in the heap is unavailable for global variables or the stack. Making a heap larger than it needs to be may make it difficult for the linker to complete the memory allocation. 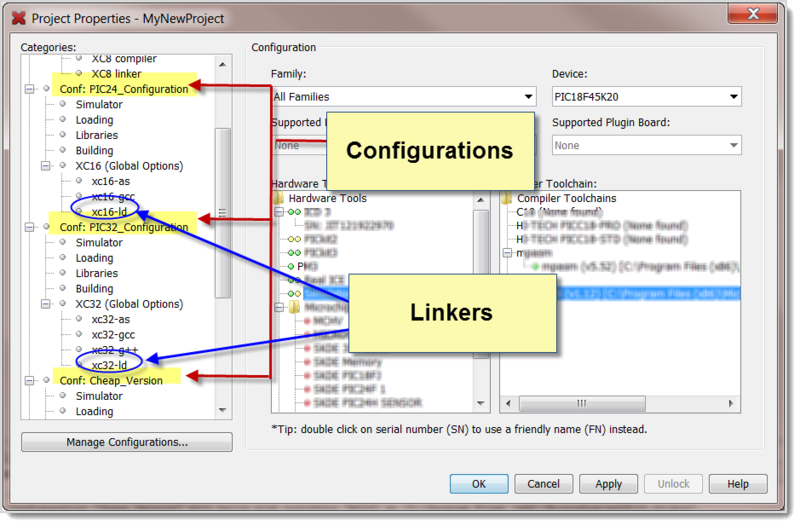 Right Click on the project name in the Project Window and Open the Project Properties Window. 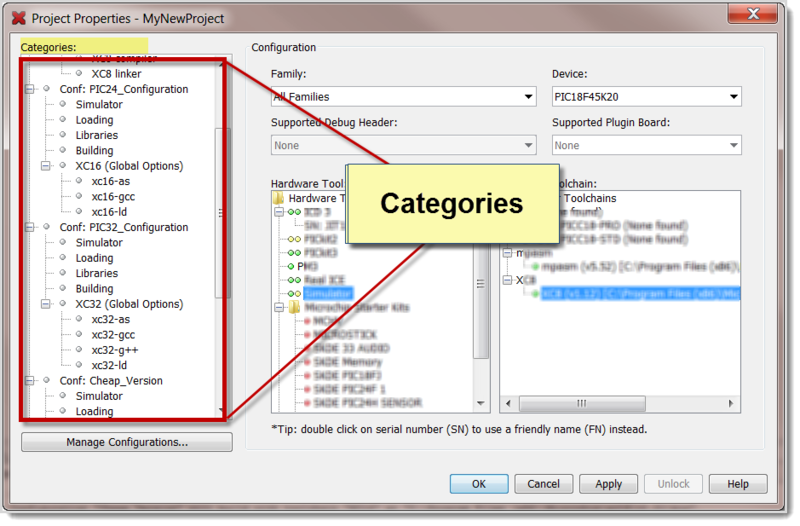 The categories section of the Project Properties lists all the configurations for the project.